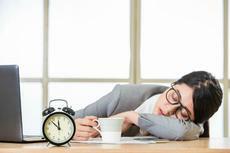 People are chronically sleep-deprived. Sometimes the reason is lifestyle – full time jobs or parenting – but sometimes the underlying causes are chronic pain or other health conditions. An estimated 50-70 million adults in the U.S. have some type of sleep or wakefulness disorder, according to the Centers for Disease Control and Prevention (CDC). Sleep is tied to every organ system in the body. So if you deprive your body of it, it won’t function properly. It’s not just about the total amount; it’s also about the stages of sleep. Each of the phases, REM (usually 25 percent of the total night) and NON-REM, need to be present to a certain percent in order to have restful sleep, Dr. Michael Marino, Medical Director of Geisinger Sleep Labs, says. What people who don’t get enough sleep should do is write down they typical days, Dr. Marino says. That includes work, meals, exercise, and bedtime. “Then we’d look at their sleep hours and see what we can improve,” he adds. “Priorities will have to be set. The ideal amount of sleep is a range – usually between 6 and 9 hours. Some people feel great after sleeping for 6 hours, other require longer. “But if you sleep 9 hours and still wake up tired, you may require an evaluation,” Dr. Marino says.